When I think about Easter I don’t think so much about chocolate as about lemon – lemon potatoes, lemon roast chicken, lemon cakes. 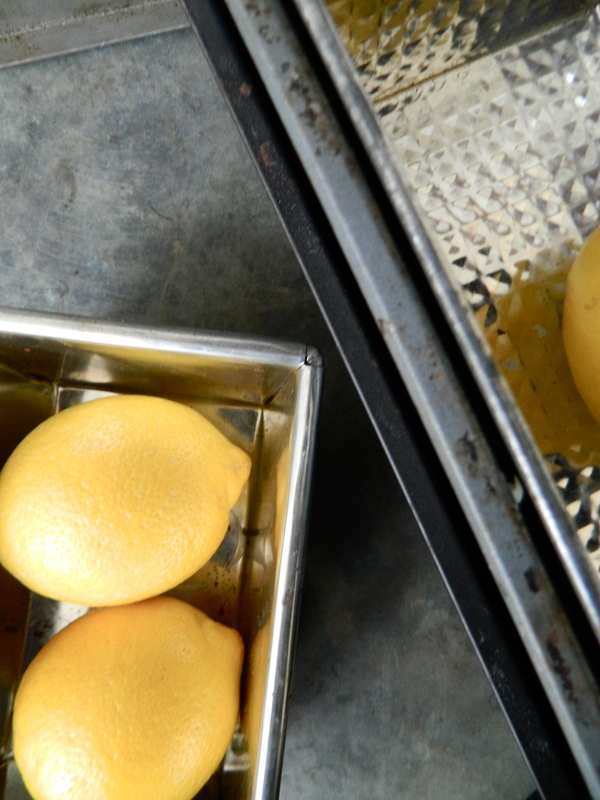 There’s something about the flavour of lemons which just sums up how this time of the year feels for me: it’s a light, optimistic and sunny flavour but it’s also quite old-fashioned and traditional. Last year I made a very special two-layered lemon cake, complete with lemon buttercream and crystallised primroses for Easter Sunday, which was every bit as luscious as its creator Tamasin Day-Lewis promised it would be – ludicrously luscious in fact, a giddying celebration of lemons and icing and Easter; the kind of cake you don’t eat every day, or perhaps even every year. I still wanted to make a lemon cake though, and when I got back to a rather grey and chilly Dublin after two days of sunshine in Lahinch, I decided that I wanted to make a sturdier, more bolstering cake for dessert. Still lemony, still sweet, still delicious; but a little more austere, a little more reserved; a practical cake that could be eaten with tea after the Easter eggs were finished. 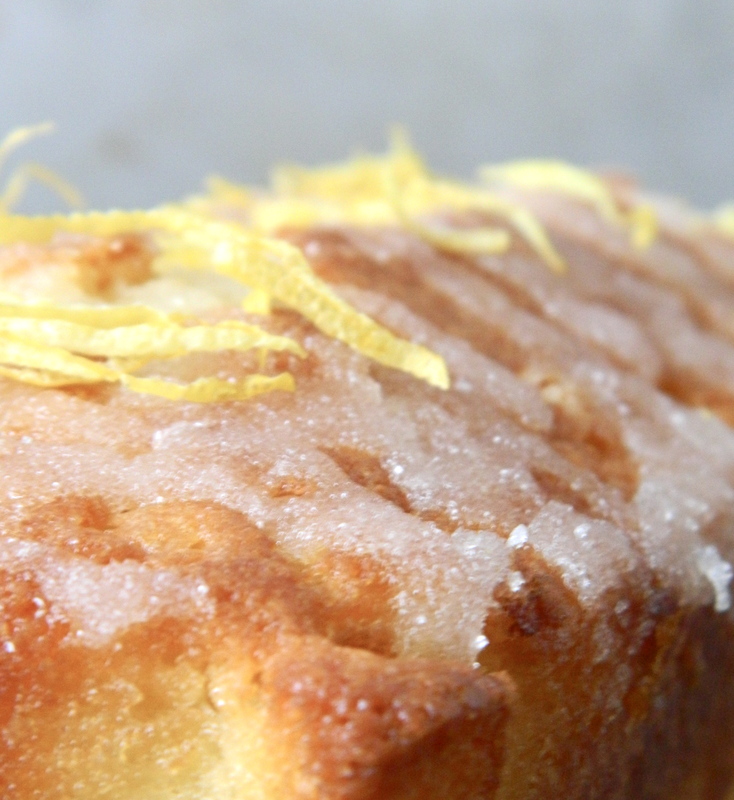 I decided to make an old favourite, lemon loaf cake, which is essentially a lemon drizzle cake before it got notions. It comes from a reassuringly matter-of-fact cookbook compiled – somewhat dauntingly – by the ‘Young Wives of First Coleraine Presbyterian Church’ and is, rather unsurprisingly, a pretty much failsafe recipe – it’s almost impossible to get this one wrong. 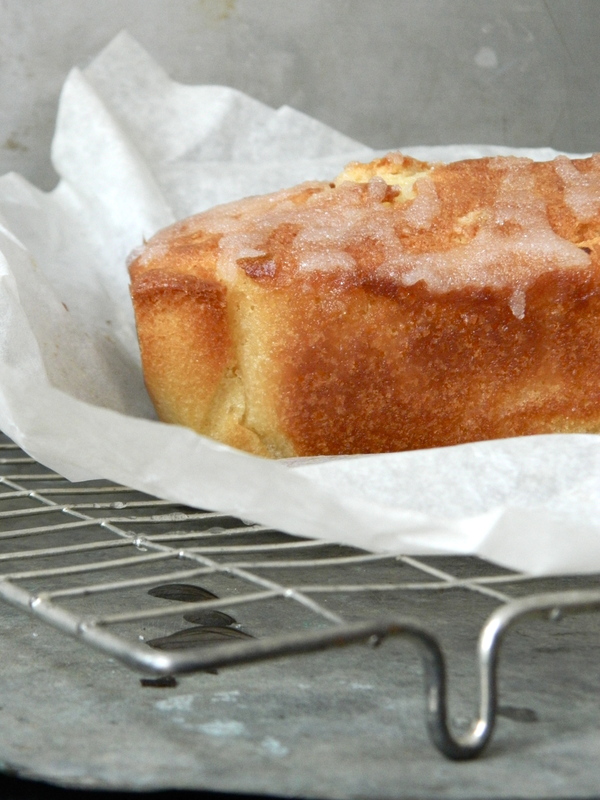 The crunchy caster sugar lemon mix on top is unusual these days (lemon cakes have swung towards a caster sugar syrup and an icing sugar topping) but still tastes wonderful – sweet, zingy and faintly frosted, like an early April morning. I added the lemon essence and the vanilla essence and you could add more zest too, if you like it very lemony as I do. I served it with a lemon and vanilla-flavoured mascarpone and it would be even lovelier still with the addition of fresh berries, warm lemon syrup and torn mint leaves. Use good unwaxed lemons, good Irish butter and good eggs. Preheat oven to 180c and line a 23cm bread tin with baking parchment. Beat the sugar and butter in a freestanding mixer until pale and fluffy. Beat the eggs and stir them in. 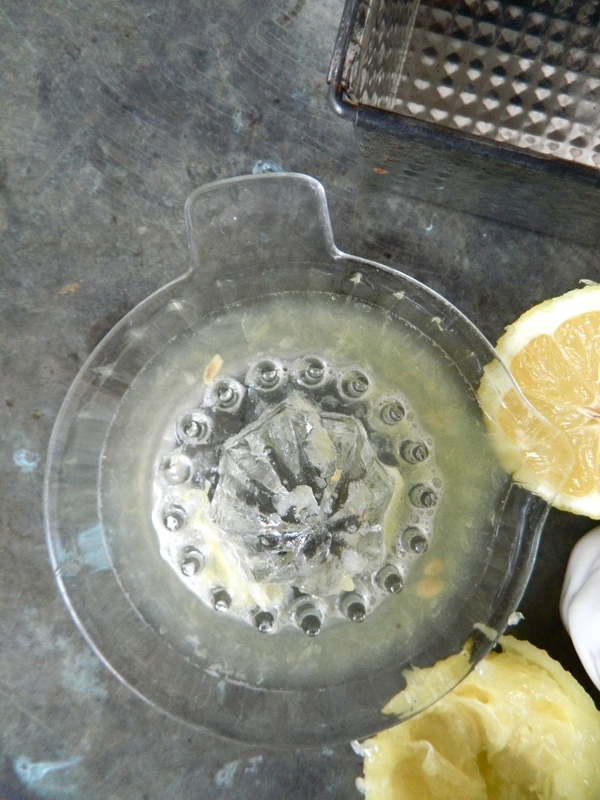 Add the lemon and vanilla extracts and the zest of the lemon. Fold in the flour gently and incorporate the milk. Pour the mixture into the tin and bake for 30 minutes at 180c. 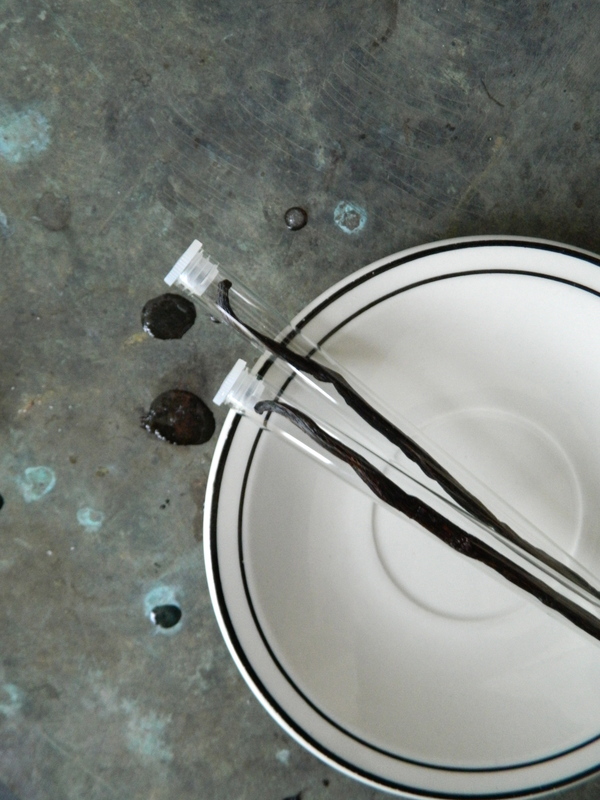 Turn down the temperature to 150c and bake for a further 15 minutes, or until a skewer comes out clean. 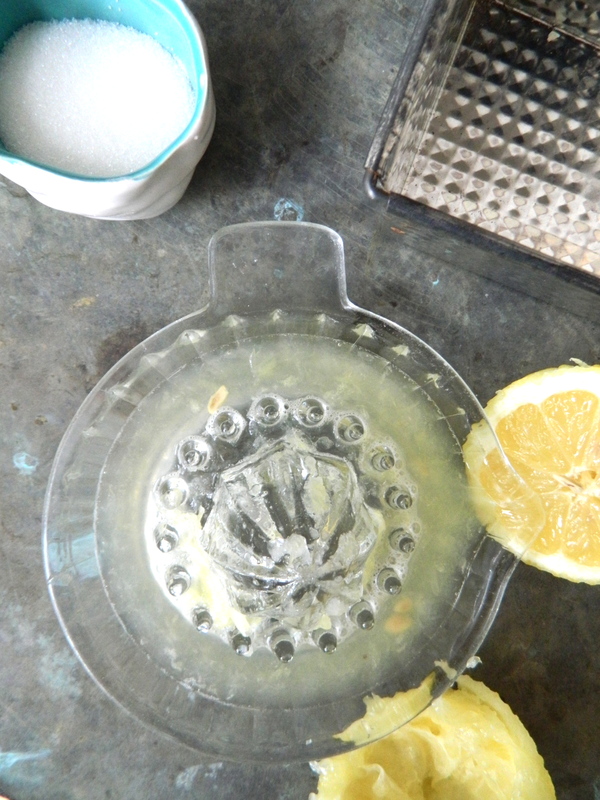 Juice the lemon and mix with 1/2 a cup of caster sugar. 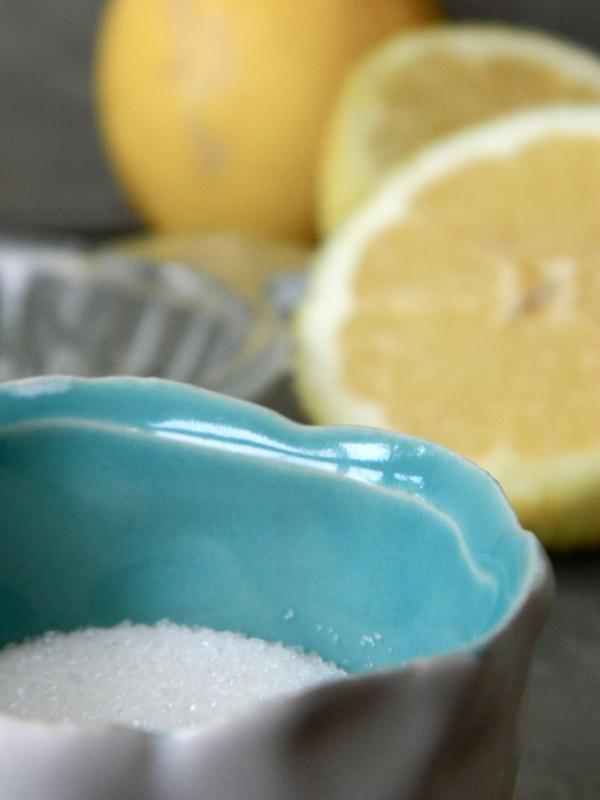 Divide the lemon-sugar mix into two and bring one half to a gentle simmer. Skewer the cake and pour the syrup into the holes. Spoon the rest of the mixture over the cake while the cake is still in the tin. After it has cooled a little, lift the cake out of the tin and peel back the parchment so that the cake can cool properly.